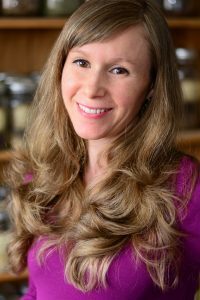 Danielle is the founder and owner of Svastha Ayurveda, a holistic healthcare practice and herbal apothecary located in Boulder, CO. She has been immersing herself in the study of Eastern Health and Philosophy since 2007. This time and space has also allowed her to work on her own personal transformation to create a strong, balanced foundation in her life. After many years of internal and external studies, she now finds great joy in sharing this ancient knowledge to educate and empower others! Danielle’s journey in eastern studies and holistic healing includes a three-year Yoga Teacher Training and Advanced Studies program under her respected teacher and mentor Madeleine Huish; continuing Yoga education with Yoga master Zhander Remete and Emma Balnaves of Shadow Yoga; Ayurvedic Practitioner Certification under the highly revered Dr. Vasant Lad; and Doctorate of Ayurveda Certification at Alandi Gurukula Ayurveda with the great Alakananda Ma and passionate lineage holder Dr. Bharat Vaidya. 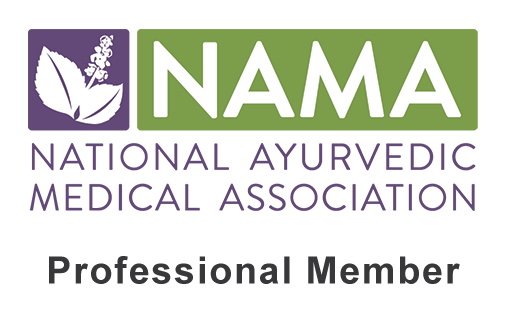 This is the highest level of Ayurvedic education and certification currently offered here in America. In Danielle’s practice, she offers healing through the modalities of proper nutrition, lifestyle counseling, herbal prescriptions, Yoga as therapy, meditation practices, pranayama (breath work), and marma therapy. She takes her time to work with each person as an individual, as she is well aware that each being has different needs in their personal path toward health and wellness. Danielle is also the founder of Svastha Ayurvedic Apothecary. After years of perfecting each recipe, she has personally formulated and handcrafted over 60 herbal preparations (and counting!). These include medicated ghee, medicated oils, herbal teas, tinctures, digestive spice blends, and powdered formulas. Danielle feels a strong connection with nature and all it has to offer, and she is delighted to share Mother Earth’s medicine with others. Danielle is very appreciative to all of her teachers before her and vows never to stop learning. She is fully dedicated, grateful and excited to be helping others on their journey to physical, emotional and spiritual wellness!